Zum Hingst Technologies has supplied precision machined parts to our aerospace customers since 1978. We hold various approvals with major aerospace companies and are registered to ISO 9001 and AS 9100. 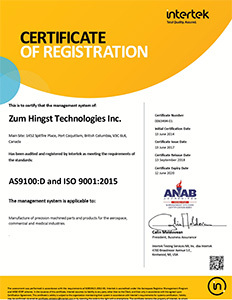 Zum Hingst uses the most up-to-date technologies for data transfer and manufacturing methods, such as high speed and 5-axis machining. 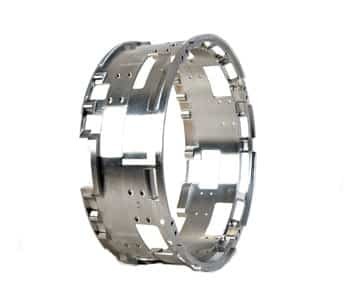 We work collaboratively with our customers to improve the machine-ability of their products, to be more cost effective and to achieve greater dimensional consistency. We continuously work on cost reduction, often in the double digit savings, based on long term contracts, to meet the ever increasing challenge of global competition.